CONTACT FORM BUILDER | eShop Boutique | Sites web, pages de ventes, squeezes pages, graphiques – eshop la qualité avant tout! You can easily create any form you need! with our contact form shortcode builder! You do not need to install any third-party plugins to create a form – we’ve added a contact form builder right to the default WordPress content editor both for posts & pages. 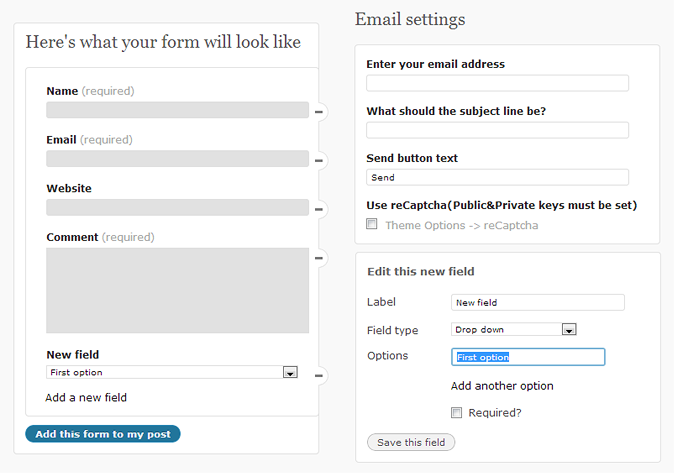 To add a contact form to a page just click on its shortcode button in the Visual mode and start customizing.